Lossburg. Ahead of this year’s international K trade fair, Arburg generated a great deal of excitement with its slogan “Freedom has to be experienced!” . At an international press conference on the eve of first day of the fair, the secret was unveiled with the presentation of the Freeformer – the world’s first additive manufacturing machine that uses standard plastics to produce fully functional components as one-offs or in small unit volumes, without requiring a mould. The Arburg stand was a real crowd puller right from the start. The new injection moulding machines, applications and processes were also extremely well received by the trade visitors. Drawn from 51 nations, the Arburg team had its work cut out as it presented the new developments and provided individual consulting to prospects from all around the world. “This has been the best trade fair in our company’s history,” concluded a delighted Michael Hehl, Managing Partner and Spokesperson for the Arburg Management Team. “First we whetted the curiosity of the trade experts before astounding them. We ratcheted up anticipation among our customers, gaining their attention, before finally heralding a new era in plastics processing at the K 2013. Our appearance at the trade fair centred around the unique Freeformer and the associated show. However, our innovative injection moulding solutions also garnered a great deal of attention,” said Michael Hehl. 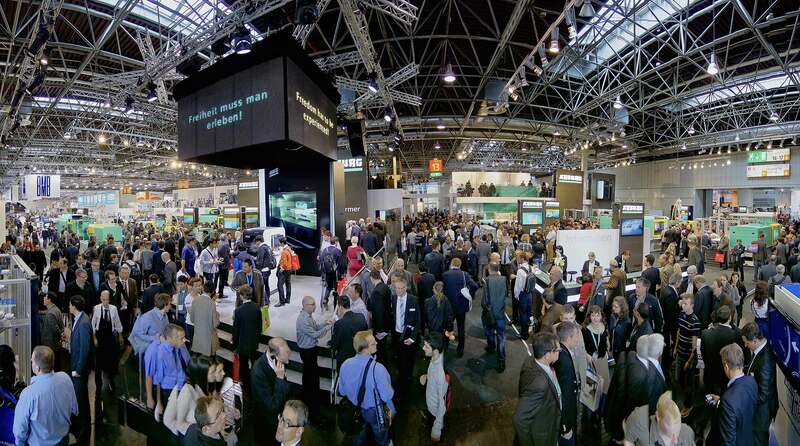 With more than ten exhibits on its own exhibition stand and over ten additional machines on partner stands, Arburg was prominently represented at the K 2013. The worldwide team will now hit the ground running as it launches into a successful 2014. Herbert Kraibühler, Managing Director Technology at Arburg, expressed an equally positive mood: “The response from the trade visitors, driven by the innovations we presented, has simply overwhelmed us. Clearly our customers appreciate the fact that Arburg offers them a competent, innovative partner with whom they can adopt completely new approaches to plastics processing.” This is due both to the ground-breaking invention of the Freeformer and to new machines, processes and complex applications that have been implemented with partners in the fields of mould-making, automation and peripherals. 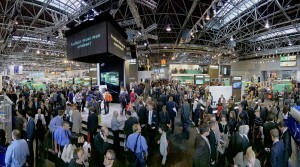 The 1,650 square metre exhibition stand placed the main focus on the topic of production efficiency. After all, what really matters in plastic part production is maximum quality at minimum unit costs. In the context of the VDMA “Blue Competence” initiative, Arburg demonstrated how modern injection moulding machines save energy and raw materials at the K 2013. The special edition “blue horse” from Playmobil was produced live on Düsseldorf’s Heinrich-Heine-Platz. This gave rise to a unique machine and a unique process for additive manufacturing: the Freeformer and Arburg Plastic Freeforming (AKF). The Freeformer operates waste, dust and emission-free. It is so compact that it fits through any door and is immediately ready for use at any location thanks to plug-and-play. As with injection moulding, the standard granulate is melted and processed in a plasticising cylinder designed for minimal throughput. The Freeformer offers totally new freedom for the mould-free manufacture of one-off parts or small production batches, while the modular Allrounder injection moulding machines continue to offer the best choice for the cost-efficient mass production of plastic parts. Despite the presentation of the new business area, Arburg did not neglect the latest injection moulding technology. Celebrating its world premiere within the Arburg modular machine range, for example, was the electric Allrounder 820 A with a newly developed 4,000 kN toggle-type clamping unit and a new, larger, size 2100 electric injection unit. It completes the high-end Alldrive series, closing the gap between 3,200 and 5,000 kN in the clamping force range. The performance capabilities and process precision was demonstrated in a high-speed application that produced 48 teaspoons in a cycle time of 4.5 seconds. An electric Allrounder 470 A also demonstrated its high performance and production efficiency with the fastest application on show at the K 2013: Using a 64-cavity mould from Männer, the high-performance machine produced 64 flat drippers for droplet irrigation in a cycle time of only 1.8 seconds with maximum cycle consistency. In collaboration with Arburg’s partner Foboha, an electric 2-component Allrounder 720 A, which produced juice container closures, demonstrated how productivity in the packaging industry can be increased by up to 100 per cent with innovative electric cube-mould technology. In addition to the machine axes, the rotation of the cube and the linear movement of the 12+12-cavity mould were driven electrically and, of course, managed via the Selogica control system. A complex application that combines long fibre direct injection moulding with the overmoulding of two continuous-fibre reinforced thermoplastic inserts of different thicknesses (organic sheets) met with a great deal of interest throughout the duration of the fair. A six-axis robotic system picked up the organic sheets and gently heated them in a two-sided heating process before transferring them into the mould at a precise forming temperature. A servo-hydraulically driven Allrounder 820 S overmoulded the organic sheets with long-fibre reinforced PP and, in a cycle time of 40 seconds, produced a high-strength composite component with additional functional and reinforcement elements that measured over 500 mm in length and weighed just 200 g. The partners in this joint LIPA (Lightweight Integrated Process Application) project were Georg Kaufmann Formenbau AG and fpt Robotik. As a second innovation in the area of lightweight construction, Arburg presented the Particle-foam Composite Injection Moulding (PCIM) technique developed in conjunction with partners Ruch Novaplast and Krallmann in a two-component application for the first time. A finished model wheel comprising a foamed EPP tyre and an injection moulded PP rim overmoulded with TPE was produced in a single step. The new mobile Agilus six-axis robotic system from Kuka/fpt was used for handling purposes, moving on an additional linear axis arranged transversely to the machine. The flexible seven-axis solution enabled more dynamic movements and 43 per cent faster mould entry. This resulted in shorter cycle times and higher productivity. For the medical technology sector, a stainless steel electric Allrounder 520 A produced 64 pipette tips under clean room conditions in a cycle time of only 5.0 seconds. As an automation component, the new Vario TIP system from Waldorf Technik was used, which has been specially designed for the handling of pipette tips. Arburg presented the automated production of a hard/soft combination using the example of a suction cup with a threaded bushing insert. The complete component was manufactured in a single production process on an hydraulic two-component Allrounder 570 S with a 4+4-cavity mould from Rico. A fully automatic production cell using a one-piece-flow process for the moulding and inline printing of “intelligent” name plates demonstrated how increasing requirements in terms of documentation, individualisation and flexibility could be linked with the Industry 4.0 Future Project. Machines and products were networked and the production data linked directly to the moulded part by means of an individual QR code. This enabled each name plate to be uniquely identified and tracked online. The Arburg host computer system (ALS) was of central importance here, which recorded all the necessary parameters and transmitted them to a web server. This meant that the production parameters and use of the part could be called up at all times.